and his pals Saxon J. Bullock and David R. Simpson on a shoe-string budget. 'SANTINI II' was the very first ever Airwolf fan movie, created in the VHS analogue era, pre-Internet, pre-YouTube over a two year period from 1991-1993 with a free, underground release later that year. 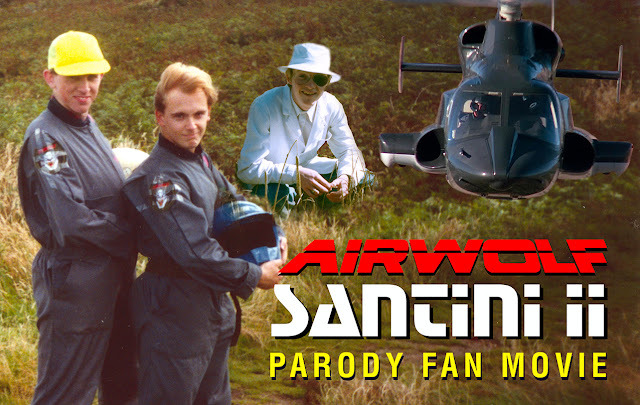 Produced and Directed by veteran British Airwolf fan, TRISTAN P. BARRATT and his friends, this tongue-in-cheek fan movie parody was created with an ADF pod full of knowing nods and winks that only a true fan of the high-flying, mid-80s TV series would know and understand. 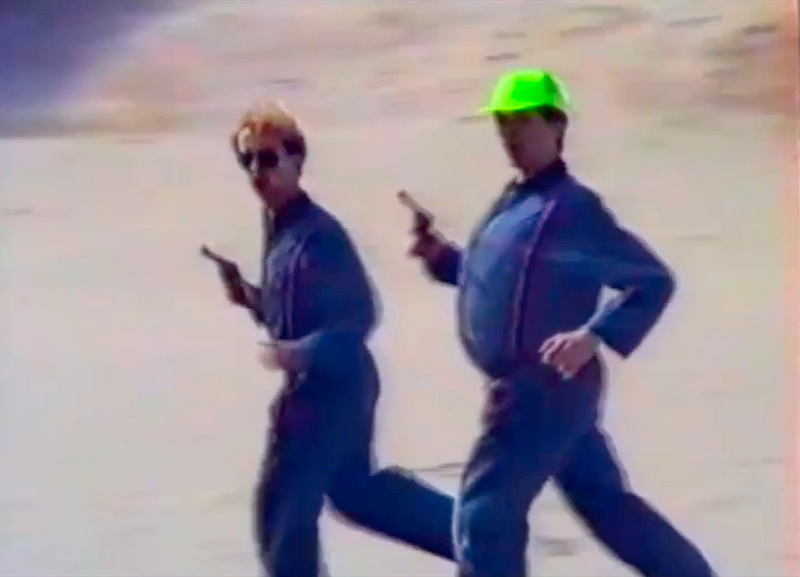 1993 Airwolf Fan Movie parody... long before YouTube. A fan film by a fan for the fans! Hawke, Dom, Archangel and The Lady enjoyed an all-new television movie from Tri-Bar Productions, a little-known Cornish production house back in 1993. Unfortunately, the fledgling production company were not able to acquire the services of the original actors and production crew at the time, but they did find a wealth of undiscovered talent in three, little-known, English acting talent including: Tristan P. Barratt, Saxon J. Bullock (sorry to say, he's no relation to Sandra) and David R. Simpson. Barratt and Bullock were also the creative team behind this 'The New AIRWOLF: The Next Generation' production which took the direction of a humorous and (some thought) stylish parody from start to finish. "In 1984, I watched a TV show burst onto our screens that was to change my life. 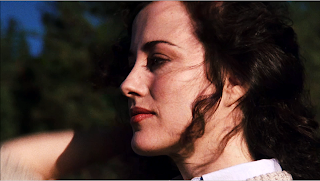 From that moment on I knew it was fate that, I too would fly The Lady through the skies," Tristan said at the time. The plot revolved around the cloning of sidekick, Dominic Santini to produce an evil twin, who’s sole aim in life was to acquire the Airwolf helicopter and deliver it to the Iraqis — for the money! 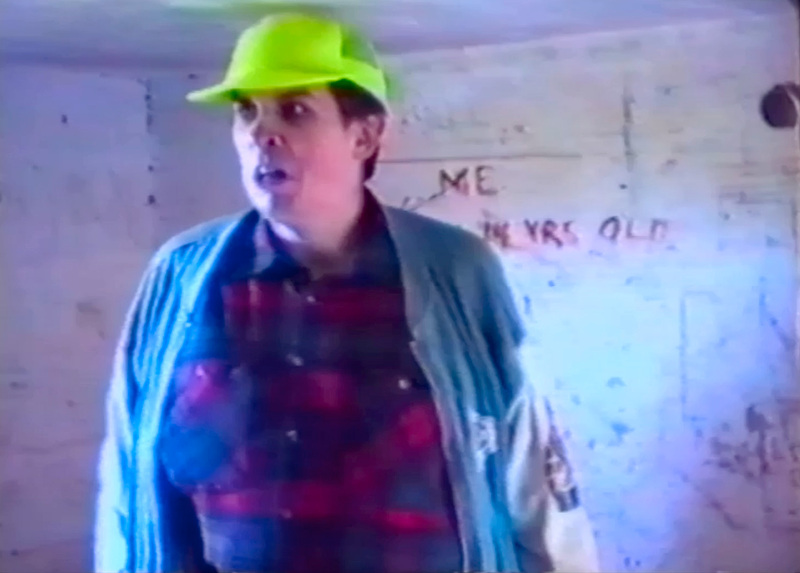 Budget restrictions imposed by their backers, Apocalypse (a very small 1990s sub-division of Universally Studios, Cornwall – allegedly) meant the entire production was filmed on a shoe-stringfellow, paper-round finances. It's basically some friends out being truly silly and daft at the show's expense, ad-libbing the outlandish script at times and generally just having a laugh with it all. The glamorous and exotic locations required in the original Barratt-penned teleplay included Cuba, California, Washington DC, Bosnia and Russia had to be cut back slightly; actually by a lot in the end. So much so in fact that the entire team had to move lock, stock and JetRanger Tyler camera-mount to the beaches of sunny Cornwall on the South West coast of England for the main 1st Unit location shooting. The shortage of funds also affected how much Avgas was available for the aerial flying sequences, meaning most were cut to just a short flight, so short in fact that the new Airwolf helicopter originally commissioned for the production couldn’t, in the end be built, thus Tri-Bar Productions had to resort to radio-controlled scale models for the stunts. Unfortunately, this fell through as well, as on the first day of filming their budget was slashed further by Apocalypse and they had to resort to old Airwolf die-cast models, plus a bit of finger power! 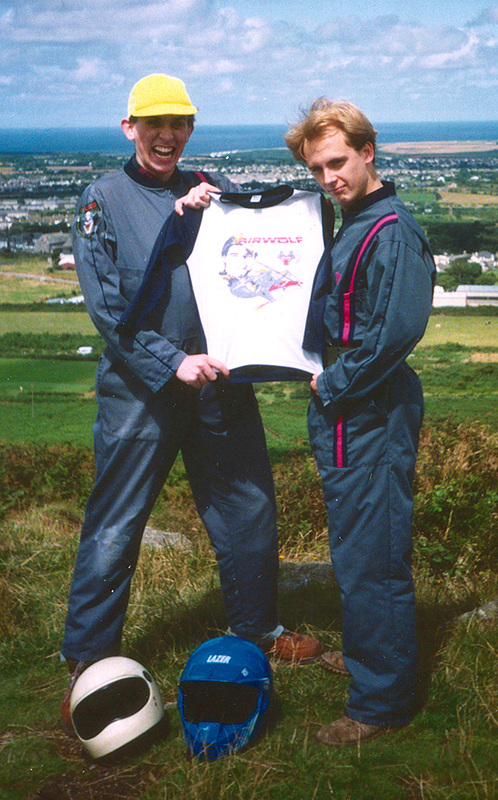 Their costume designer, John-Pee-air got a theatre gig in Scotland somewhere and his original lavish Airwolf costumes were cut back too; so far in fact that they ended up being shorts and a T-shirt. Time to get the Airwolf pyjamas out and show a bit of the good old English, WWII 'make do'. Over-acting was the name of the game, and Tristan Barratt took off Jan-Michael Vincent’s back-teeth clenching-Hawke to a tee; David Simpson did an admirable deputy director-of-a-job as Archangel, despite having no acting experience then – or since. But it was the hammy Saxon Bullock who acted them all off the small screen, doing a superbly daft job as the wise-cracking Santini, as well as his evil doppelgänger. From the opening title sequence where Bullock does his own variations of Ernest Borgnine running with the water canteen released from the port storage bin on the sand dune, followed by the thumb’s-up at the door is comedy genius. These are just some of the ADF pod-full of subtle, and not so subtle in-jokes for the Airwolf fans. Attention to detail was obviously paramount, and could only come from a true fan of the show. Tristan Barratt, in fact, was a prominent long-term member of the original 'Wolf Pack', the Airwolf Appreciation Association, run by future Airwolf Themes' producer, Mark J.Cairns during the late 1980s ~ early 1990s. The production equipment used at the time wasn’t Panavision standard or even broadcast quality by any means (was shot on VHS), however this new, 2016 upscaled HD print has been restored (where possible) and enhanced from the original VHS tapes (4:3 aspect ratio), plus the addition of the spectacular new HD 2nd Unit stock elements for the Aerial sequences, plus extra foley and music added (whilst not affecting the original analogue-era video created at the time), preserves the anarchic fan comedy for the modern internet generation of Airwolf fans. 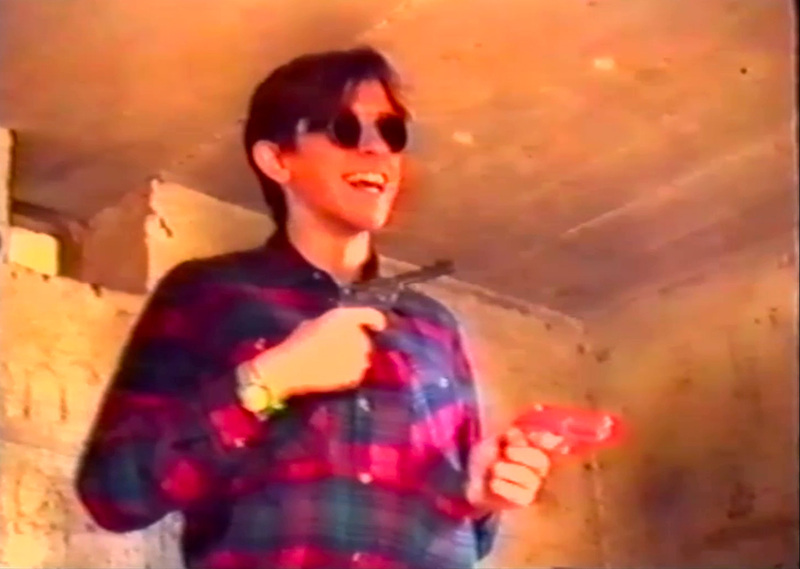 The VHS existing print (only exists in very low resolution 240p) was uploaded in the early days of YouTube back in 2006, so the new upscaled print looks better than before (unfortunately the original VHS master was no longer available thus a proper Audio restoration wasn't really feasible). It's very interesting to compare visuals of the old and new prints and how the new 2016 version has evolved a better flow to some of the Aerial sequences especially with some careful re-editing. Tristan Barratt was a pioneer along with his Cornish pals in the Tri-bar team, giving the original Wolf Pack fans a deliciously daft taste from the world of Airwolf, years after the show ended. It can safely be said that he was the true, original creator of the Airwolf fan movie and tribute parody scene, long before YouTube, mash-ups, or the Internet (in its current form) even existed. He could almost be described as the Dr Moffet of TV fan movies. "In 1984, I watched a TV show burst onto our screens that was to change my life. From that moment on I knew it was fate that, I too would fly The Lady through the skies," Tristan said. The sheer devotion that was lavished on the production, budget restrictions and experience aside, coupled with the off-the-wall script and sometimes psychedelic colours and visuals (thanks to late 1980s video effects generator) makes for enjoyable fan entertainment that should draw a laugh or two from the viewer, and really, THIS is what being a fan of a TV show is all about – getting out there and using it as a catalyst for one's own creativity and doing something worthwhile and creative around ones love for it. Whether you'll think it's just plain ridiculous and juvenile, or you chuckle throughout at the knowing humour, it was just a bit of fun by some fans back in the day. "Santini II... the high-budget, special effect-laden rip-off, err sorry “tribute” was the result. After two years of hard work, sweat, toil and sleepless nights (and visions of Archangel ripping his glasses off at the wrong time! ), I completed what can only be described as the 'biggest rip-off since the last rip-off'," Tristan concluded. Debuting on the all-new Airwolf Fan Movies channel on YouTube, this new upscale restoration is available now (HD / 4k resolution) on YouTube. A new SUBTITLES track will be added soon. This is a Parody video thus all intellectual property Copyrights go to NBC Universal as far as the original Airwolf footage, and to their respective music sources. 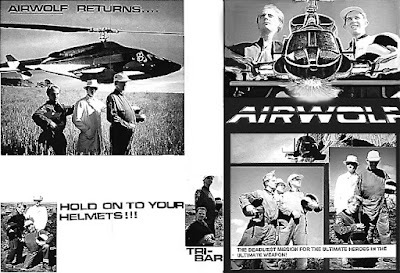 (Extracts from Airwolf Appreciation Association Magazine - ISSUE 25 © Mark J.Cairns 1994). 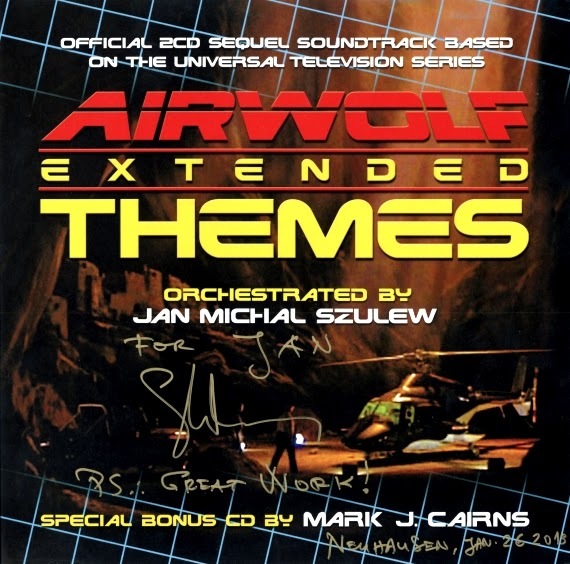 Airwolf Extended Themes' Orchestrator & Associate Producer JAN MICHAL SZULEW plays one of the most loved character themes from the 'Airwolf' TV series – composed by Sylvester Levay – on a Grand Piano. 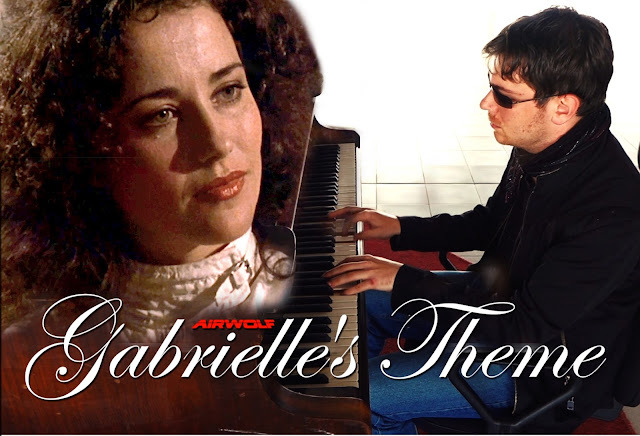 "Gabrielle's Theme" is one of Sylvester Levay's much loved character themes from the Airwolf TV series, along with the Eagle's Cello Theme and St John's Theme. Originally composed for the 'PILOT' episode, this emotive theme was played in the show with piano, synth and later during her death scene in Hawke's arms on the sand dune, live orchestra. Played by actress, Belinda Bauer, the character of Gabrielle becomes Hawke's first real love interest after Archangel leaves her at the cabin for six days to brief him for his secret mission to Libya to recover Airwolf from Dr Moffet. The theme itself is the backing score of Hawke & Gabrielle's growing trust and love during the show's PILOT episode and how Gabrielle gets behind the sensitive loner's façade, long separated from the emotional world around him, who only let his emotions inform his actions but never to control them. The excuse of getting the eagle to "trust him" is really his way of showing Gabrielle how he feels from his normality of cold, distant, emotional emptiness. 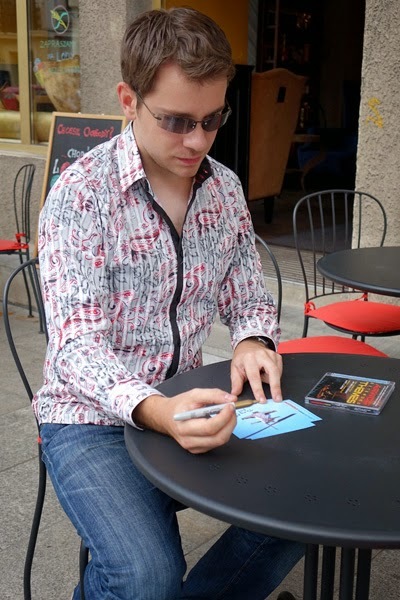 Jan Michal Szulew explains why he decided to play the emotive theme live. "On 15th May, 2015 I gave a little live performance on a grand piano in quite an unusual setting – the international airport terminal in Sofia, Bulgaria (this is my "second home town" and I travel there a couple of times a year)." 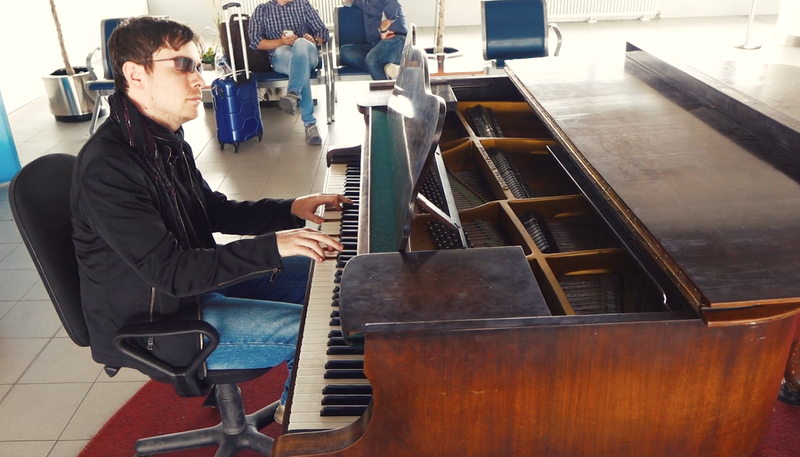 "This was not the first time though as for some reason Sofia likes to give me opportunities to perform in public transport-related places: I actually played the same grand piano in the airport last December plus earlier on another grand piano – conveniently located at one of Sofia subway stations (СУ Св. Климент Охридски - Sofia University Sv. 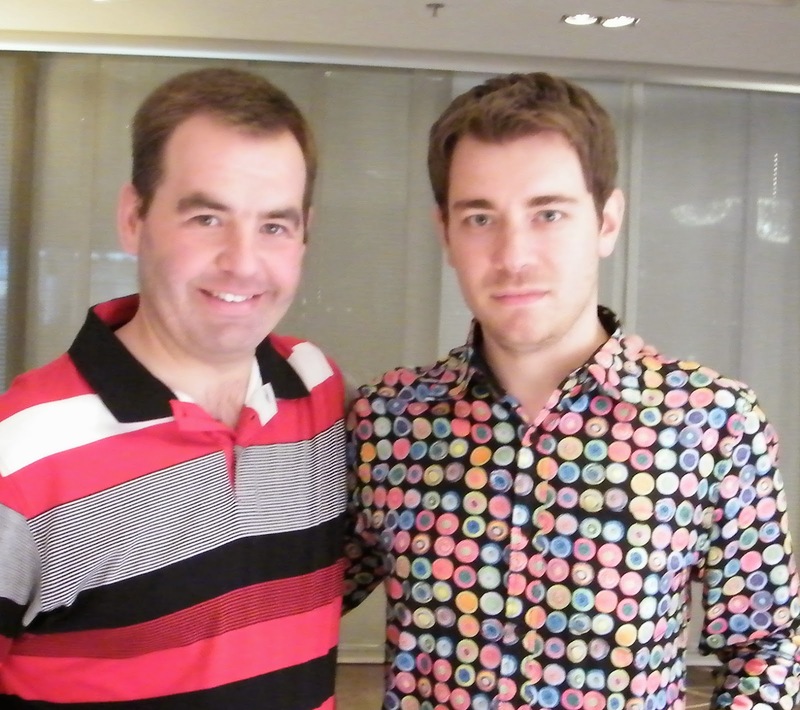 Kliment Ohridski) – during May 2012." 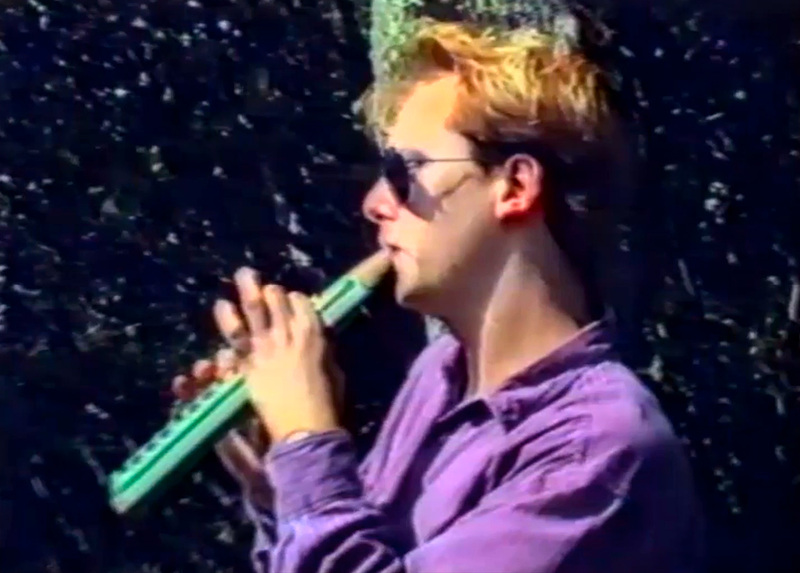 But the music from Airwolf isn't normally what Jan plays during his public performances. He continued: "While I usually perform the 1st movement of Beethoven's Moonlight Sonata (which is my favourite performance piece) this time I decided to include something that I guess hasn't really been performed much: "Gabrielle's Theme". I wanted to do something from Airwolf and "Gabrielle's Theme" seemed like a perfect candidate to be reinterpreted on a grand piano, being very popular amongst the Airwolf fans plus it has a simple melody." "Also, this time I managed to secure an audience recording of the performance," he said. good on its own, so I thought it would be cool to back it with synthesizers, recreating that 80s feel from the show itself. As the theme was used a few times on the Airwolf TV series, I had a couple of possible variations to choose from, so I decided to go with the ECHOS FROM THE PAST version (pretty much note-for-note accurate too), which for me personally evokes lots of emotions and memories of the early 90s, when the episode aired in Poland for the very first time." 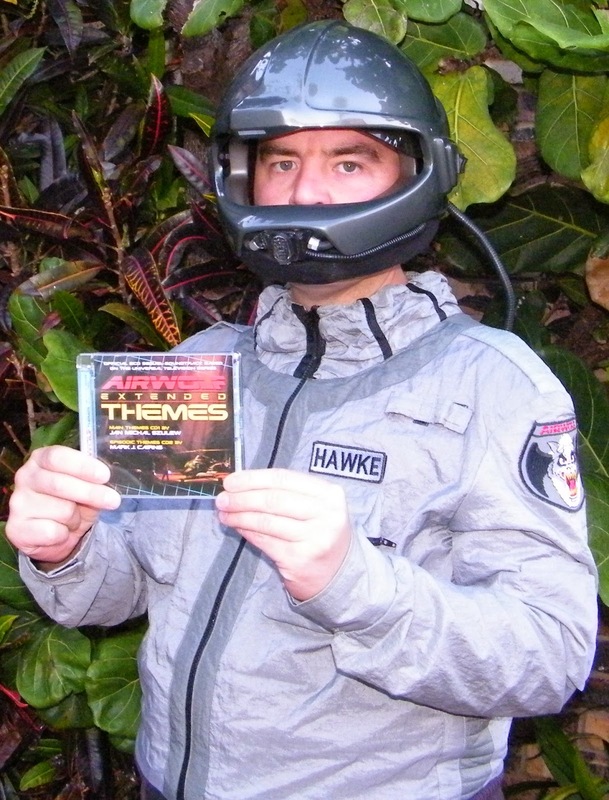 Jan's updated audio was them paired with the newly-restored HD footage from the Region B blu-rays to show the evolving love story between Hawke and Gabrielle, without the emotional turmoil of the final scenes on the sand dune dying in Hawke's arms; Sylvester addressed this with the Munich Philharmonic Orchestra on the original 'Airwolf Themes' 2CD from 1999. It was rendered in both HD and future-proofed for Ultra 4k resolution on YouTube. We finished the production by keeping with the tone of the PILOT's Closing Theme to play out after the performance. Plus there's a little upbeat Easter egg at the very end for those that watch the whole way through. Well, the 'Airwolf Extended Themes' 2CD album has finally been released on 26th March, 2014 after 15 long years in the planning and 5 even longer years (feels like it anyway) in both production and over 2-years of post production. The fantastic response and support from the die-hard Airwolf fans (the 'Wolf Pack') who have bought the new 2CD Special Limited Edition score has been very humbling with both the detailed fan feedback c/o Disqus and also via Social, especially with Facebook and Google+. You can buy the buy the Special Limited Edition 2CD soundtrack score today directly from ourselves at our website. 42 tracks of Airwolf music as you've never heard it before in Hi-Fi Stereo, which contains 22 tracks of the Airwolf Main Theme tune (by Sylvester Levay) arranged and produced by Jan Michal Szulew, and 20 tracks from various episodes and characters themes from the first three CBS seasons of the show arranged and produced by producer, Mark J.Cairns. All tracks are based as closely as possible in arrangement, sound and feel on the episodic scoree written by composers, Sylvester Levay, Udi Harpaz, Ian Freebairn-Smith, and the late Bernardo Segáll. 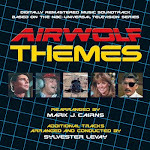 Some of the really cool features in this new Airwolf music release are the superb 24-page which includes an in-depth interview with episode composer, Udi Harpaz for his work during the late Season 2, and early Season 3 episodes. It reveals a lot of the behind-the-scenes production details of the music creation on the original TV series including revealing for the first time what synthesizers, sequencers and keyboards that the "session" keyboard players used who played and recorded for the composers each week. We have also manufactured it with the new 2nd generation "Super Jewel Case" which is much stronger than the original jewel case and includes some wonderful new features. 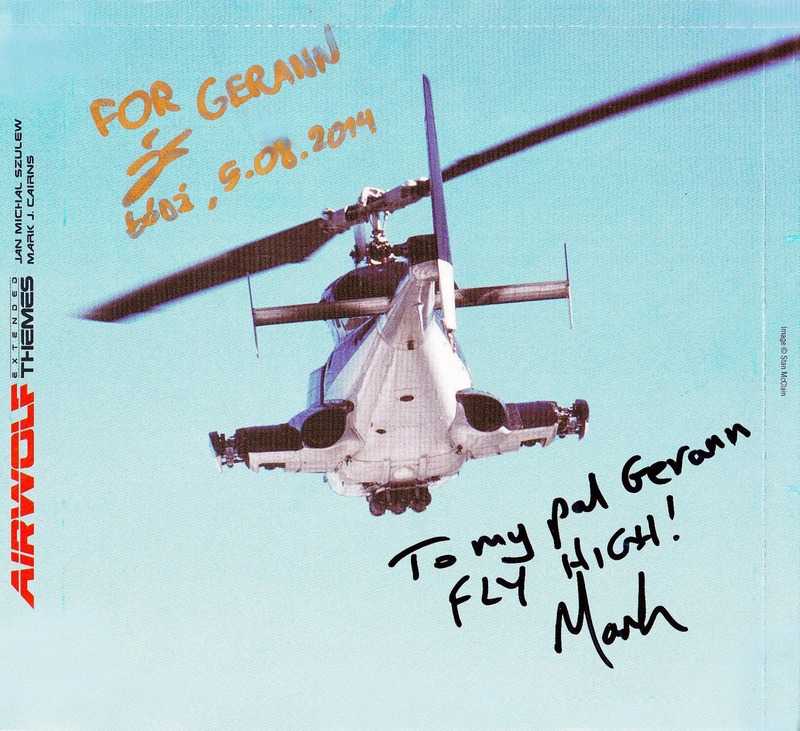 Airwolf Extended Themes 2CD Special Limited Edition is our contribution to Airwolf's 30th Anniversary in 2014. But that's not all to end the fan's joy this year. Airwolf in High-Definition (HD) Bluray for the first time with an all-new Region B box set print. Having secured the new HD prints from Universal Studios, who went back to the original 35mm negatives and lifted new HD digital prints. To say the new picture is stunning would be an understatement. The colour and clarity and resolution of everything is now so eye-poppingly gorgeous as to be a feast for the eyes. The sound is still very front & centre although Universal have made a good stab and giving it more of a Stereo width. There's no glorious sound remastering though to match the picture, so unfortunately no DTS 7.1 or Dolby Digital 5.1; but if your Audio Receiver is capable of it, then I'm sure you can "pseudo-Stereo 7-Channel" the sound to disperse it a lot more. The sound mix of Season 1 is pretty natural, but Seasons 2 and 3 are quite music heavy on the mix and can jar the ear a little at times depending on the episode. However, they blow the original Universal-Playback DVDs. I will review the new Airwolf Bluray (2014) and its sister Airwolf DVD (2014) box set in a separate Blog, plus we'll have a new dedicated section on our website dedicated to the new HD Airwolf Blurays and DVDs. 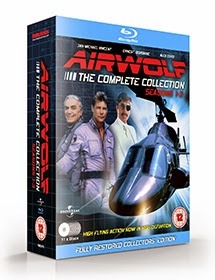 Single season Airwolf Bluray sets coming Sept 2014, so if times are tight and you can't afford the full box set, then you can purchase the single season sets. The price will stick at GBP£30 + registered shipping per 2CD set. You will be able to pay via your Credit/Debit Card via PayPal, or (for USA customers only) personal checks will also be accepted. However checks will incur a bank handling charge (the bank knows how to dig the arm in for this) and of course we'll have to wait for up to 30 days for your check to clear. We will NOT be offering digital downloads at this stage, just the old-skool physical Special Limited Edition 2CD sets, which are squarely aimed at the old-skool Airwolf fans who want a physical, touchy-feely thing in their hands to know where their money has gone. Digital Downloads though will be offered in the future via iTunes and Amazon. Updated some of the information in the main paragraphs of text below. 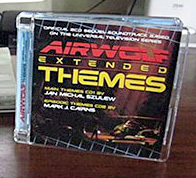 Been a long gap since the March 2013 blog and this one, but the great news is that all production work on 'Airwolf Extended Themes' has now completed! We're done. :) All tracks are completed, all CD artwork is completed. We're ready to manufacture. I'm extremely pleased (as an objective Airwolf fan) with the final result. Personal satisfaction highlights for me are "KINGDOM COME" (the final melodic chase) and "THE HORN OF PLENTY" orchestral suite. See below. We're now in post-production phase of finalising the licensing with Universal and the relevant royalties agencies, which is taking as long (months) as I originally predicted. Just waiting on the last signature (as of January 2014). So in the interim, I'm working with Ed, my web designer to produce a brand new airwolfthemes.com website in lieu of the imminent release and also include lots of new content over time to make it the one-stop-shop for new Airwolf News and information. SO HAVE YOU FIXED A PRICE YET? It will be GBP £30 + registered shipping cost per set. Below are the final Release Teasers (with a lot of tweaks and refinements over the original Blog teasers!) for Jan's Main Themes CD1 and my Episodic Themes CD2. I also updated the Track 05 on CD2 for ECHOS FROM THE PAST today (4th March 2014). 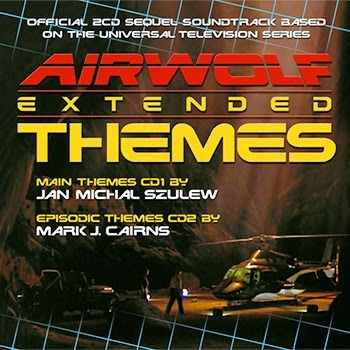 Udi Harpaz' magnificent start to Airwolf's 3rd Season with the bombastic, military and creepy score to introduce John Bradford Horn as the nemesis of the Airwolf universe, with this medley of four cues from 'THE HORN OF PLENTY', performed by Mark J.Cairns from the Airwolf Extended Themes soundtrack. One of the most disturbing scenes I've ever seen in any show, let alone Airwolf was when Jan-Michael Vincent as 'Hawke' had his eyelids taped over for a brain-washing sequence by the show's new recurring nemesis, John Bradford Horn (played wonderfully here by the late actor, RICHARD LYNCH) in the Airwolf 3rd Season opening episode, 'THE HORN OF PLENTY'. The 2nd Unit filmed most of it out at Vasquez Rocks (emulating the first scene in the show's 'PILOT' episode). Two very memorable Guest Star performances from the late RICHARD LYNCH (playing 'John Bradford Horn') and the beautiful CATHERINE HICKLAND as Horn's daughter, 'Angelica', in Airwolf's 3rd Season premiere episode, 'THE HORN OF PLENTY'. This is arguably one of Udi Harpaz' wildest and most bombastic works for the show with this wonderful military-based, and sometimes creepy (mainly) orchestral score mixed with big FM synth sounds from the Yamaha DX7, that created one of the strangest soundscapes from the musical repertoire of the entire series. But then it's definitely the creepiest episode of the entire series with the jaw-droppingly shocking deaths of both main leads (Hawke and Dom)... Hawke killed Dom (although it turns out they're tranquilizers) and then Caitlin thinks she's killed Hawke with the experimental serum to correct his brain-washing. Obviously it's all designed to shock the viewer, and boy, it does! 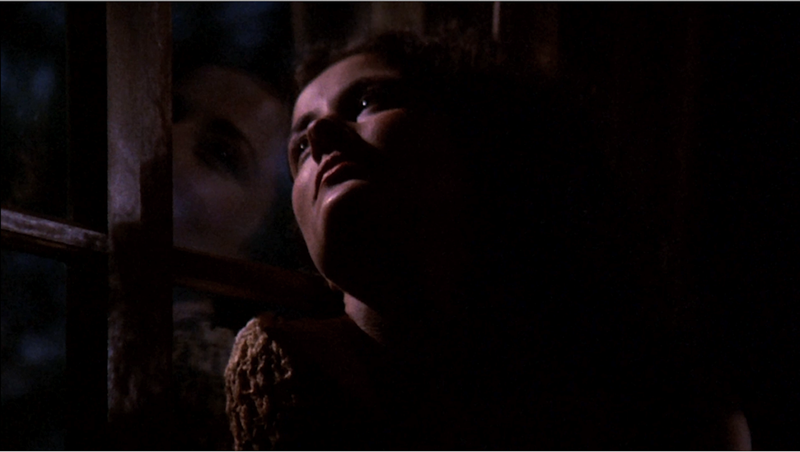 There's really nothing quite like it (Alex Cord had two goes at the brain-washing over the series run ['FALLEN ANGEL' / 'FORTUNE TELLER'], but this was the most creepy of all of them) and it's definitely one of the most "Adult" scripts from the show's run; beautifully filmed and Directed too with wonderful lighting (despite the grey Autumn skies at Vasquez Rocks) and unique camera angles by director, Sutton Roley. 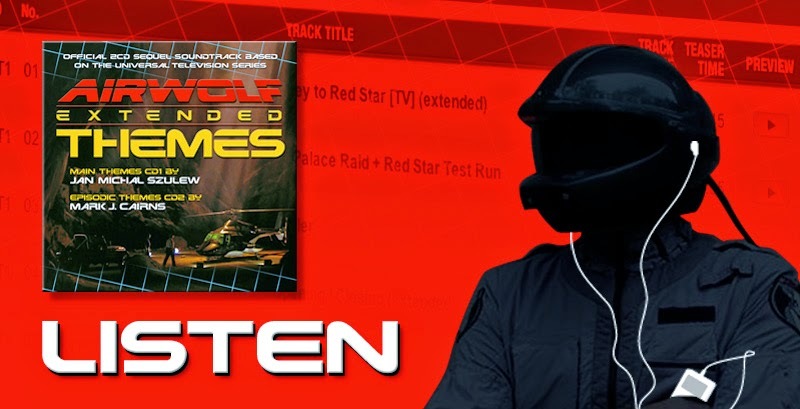 I picked four different musical sequences for this medley including where Dom lands Airwolf in exchange for getting Hawke back only to be shot by him (Udi titled this "Good Luck, Kate"; then a little Easter egg with an unused alternative cue (that I knew Udi did in the original recording session) when Hawke was taking off in Airwolf at dawn; the third cue is when Archangel, Dom and Cait are in the back of the limo with Archangel briefing them on the experimental serum and Plan B, and the final one is the wonderful capture of Horn's Volvo 740 by Airwolf at the end, only to have the shocking reveal that Horn and Angelica have escaped and the Volvo was a decoy, all leading in to the final motif coda to end titles. The wonderful film location of Vasquez Rocks in California was the eerie setting for Horn's base and actually for the entire 2nd Unit shoot. 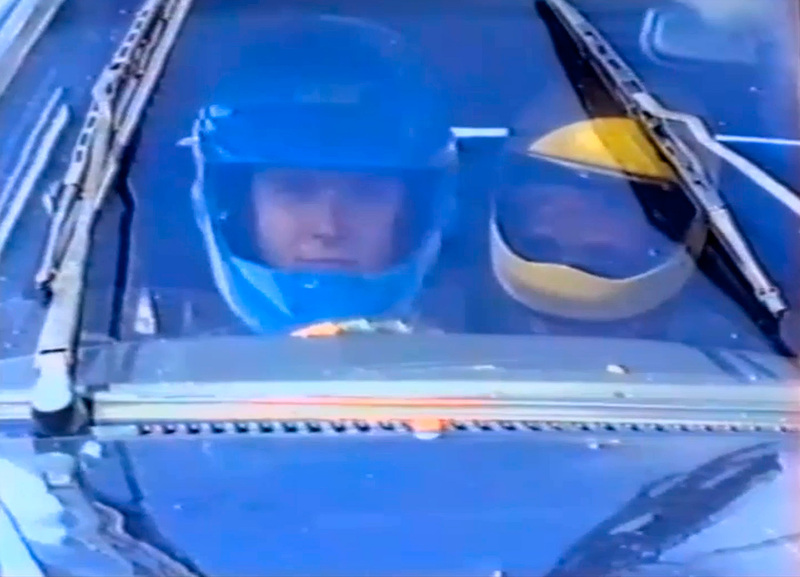 Actress CATHERINE HICKLAND (above right) is basically looking at the field where Hawke shot Dom, and also where Airwolf stopped Horn's Volvo 740 at the very end. 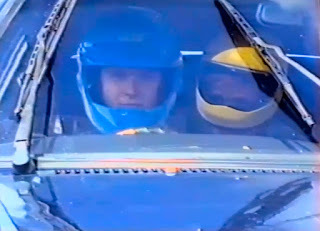 This was the second outing for the show's 2nd Unit, the first time being for the 'PILOT' episode in Sept 1983. JAN-MICHAEL VINCENT was brilliantly on form at the start of the season putting in an emotional performance for the 3rd Season's premiere episode, 'THE HORN OF PLENTY'. The other three lead actors of ERNEST BORGNINE, ALEX CORD and JEAN BRUCE SCOTT all got to put in great performances too.